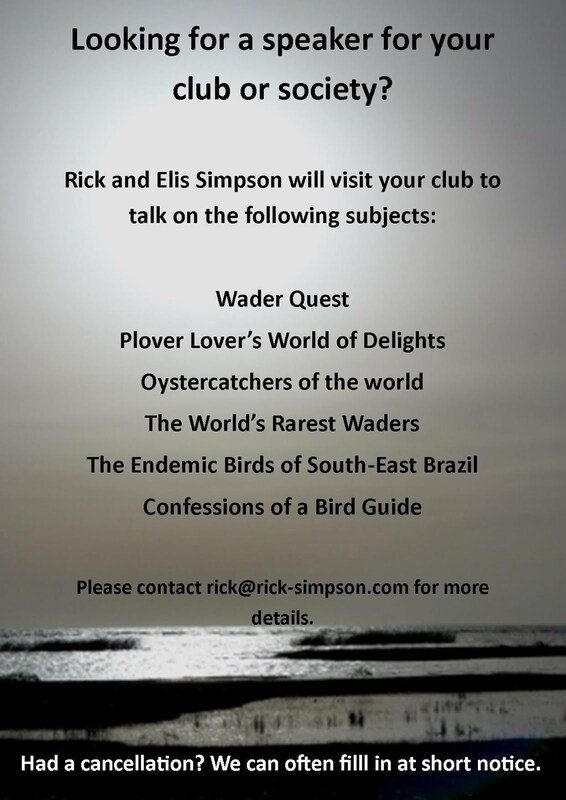 Rick Simpson Birding: Meeting an old friend. While Elis and I were still living in Ubatuba we were pretty fed up when the locals had been suppressing sightings of Red-ruffed Fruitcrows that had been appearing in palm stands around the town from us. This unnecessary nastiness was really upsetting us, but we were even more upset one morning to find one of these birds freshly dead at the foot of our apartment building. It had clearly flown into one of the windows. The fruitcrow found freshly dead you can see the eye is still moist. At that time we were collecting birds (we did not kill them, we only collected birds we found dead, road-kill for example) for the São Paulo University Zoological Museum (MZUSP) and kept the bird on ice. At the same time we became aware that the Natural History Museum in London was also very keen to source specimens of Cotingids for its research collection. After a brief word with Luís Fábio Silveira, the curator at São Paulo and Mark Adams the curator at London, it was decided that with the correct permits the bird would be sent to England to enhance the British collection instead of staying in São Paulo where they already had a number of examples. 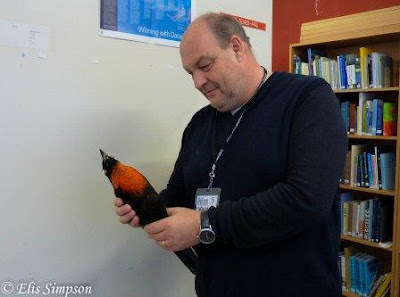 This week we went to visit the bird collection for Wader Quest and Mark showed us the prepared skin of the bird we had collected, it was beautifully done and we hope it will prove useful in the collection. We also spoke to Dr Joanne Cooper who said that she was delighted that the removed body had also been preserved in alcohol, a first for the museum's anatomical collection. 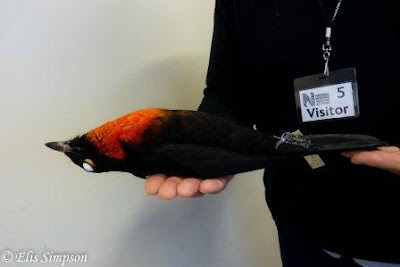 All in all we felt quite happy with the outcome of this unfortunate bird's demise which has been slightly mitigated by the fact that it has been preserved for posterity and science as part of this great collection. Here is the label that it was given in São Paulo, it does not have a NHM London label yet. Does this qualify me as an 'ologist'? Three new birds for the garden.